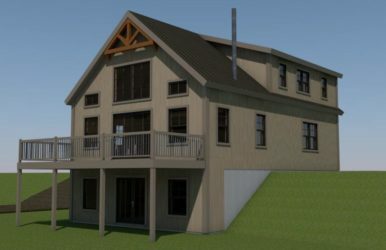 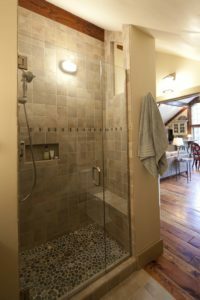 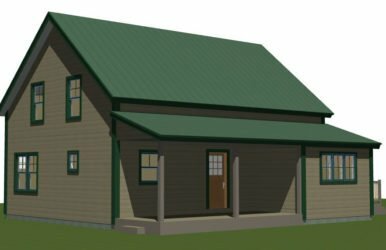 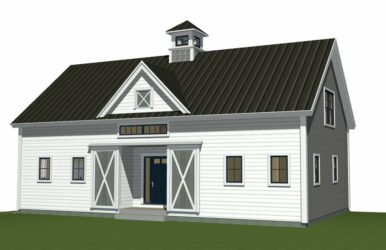 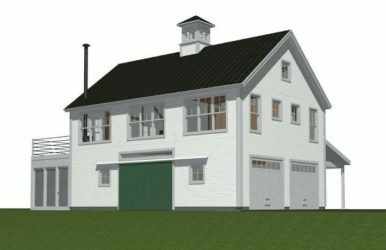 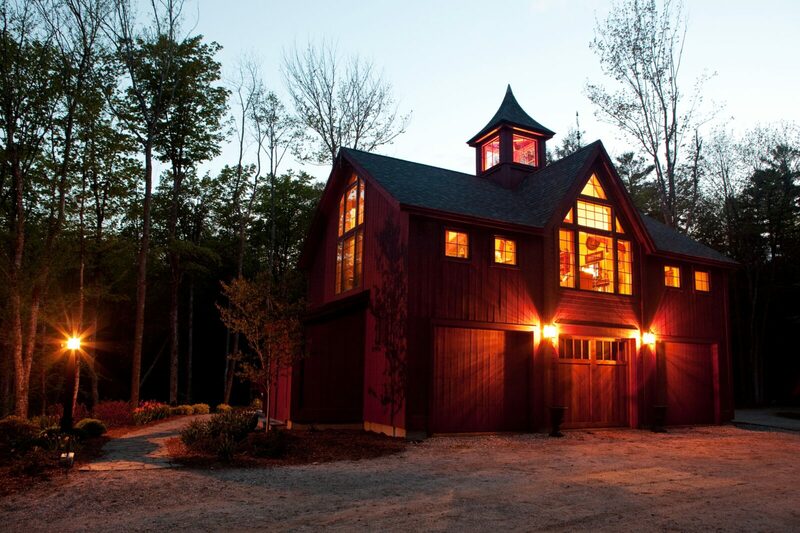 The Bennington Carriage House Floor Plan is designed with primary living on the second level, with storage for three cars and a half-bathroom on the ground level. 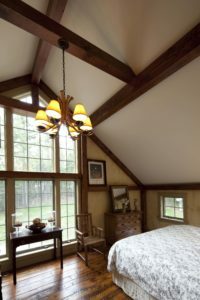 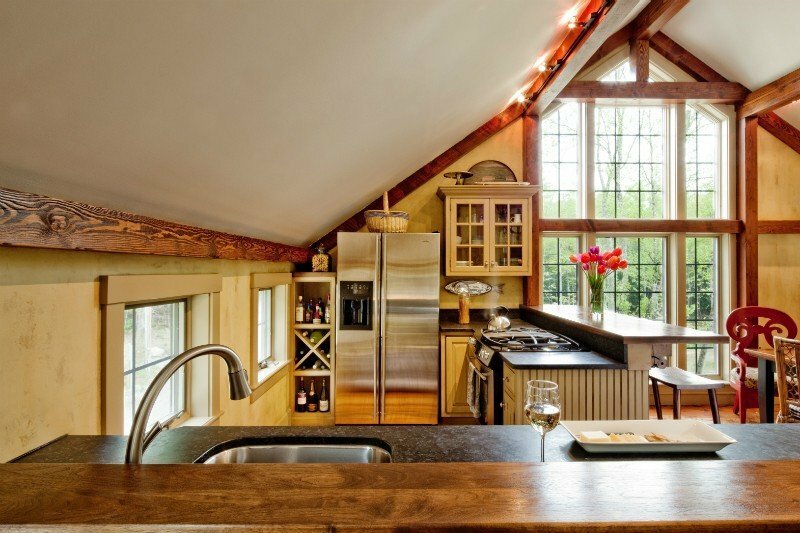 Two large gable dormers with full light windows give a light, airy feeling to the living space while evoking a neo-Victorian look. 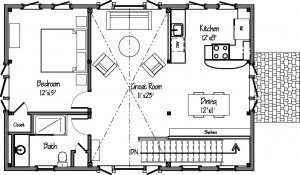 This floor plans packs a lot of punch into it’s 1,142 square feet of living space. 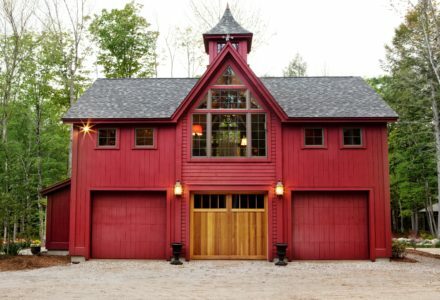 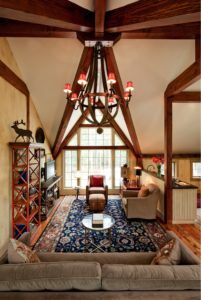 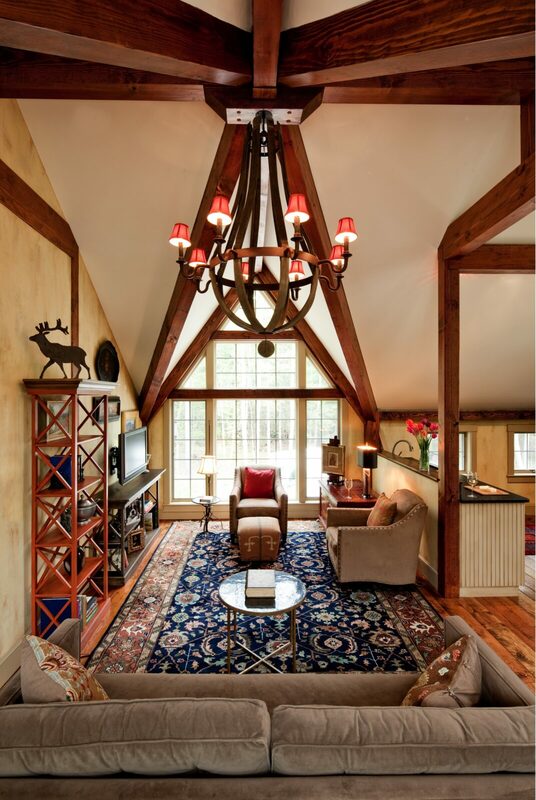 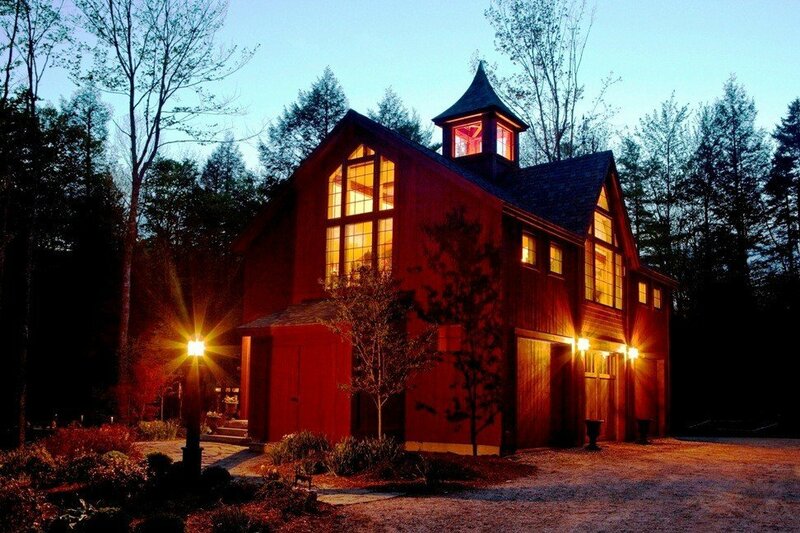 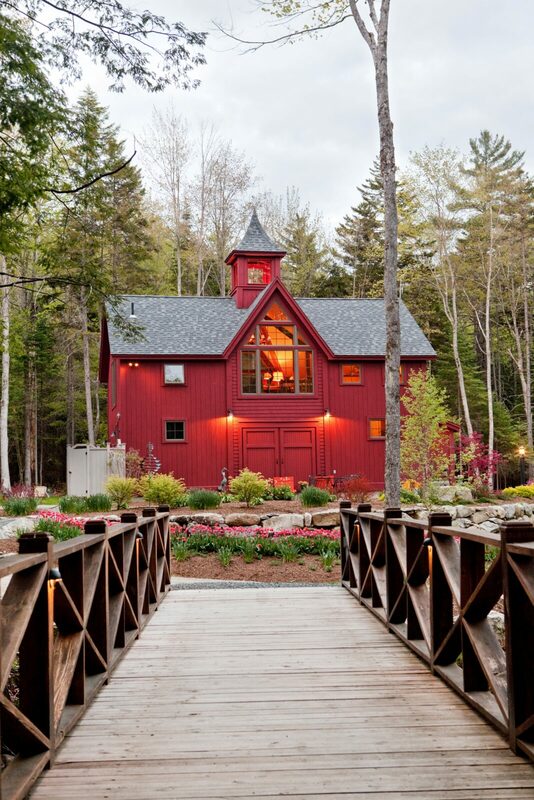 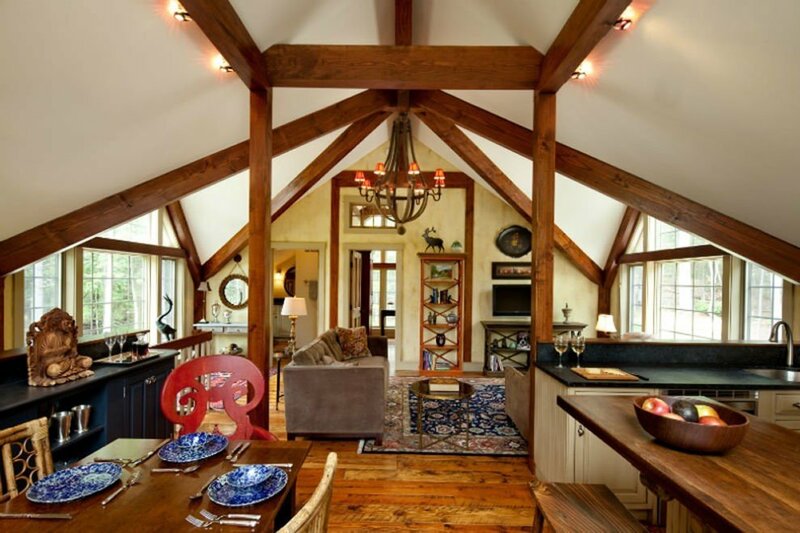 Defined by it’s gorgeous post and beam frame, this home is perfect for empty nesters or as a guest house. 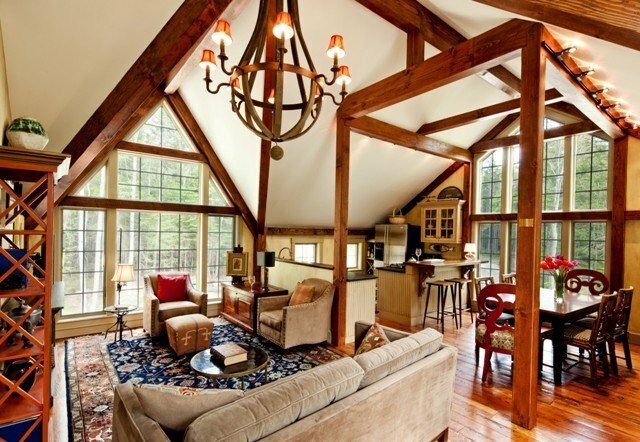 The open floor plan of this house allows it to live “large”.